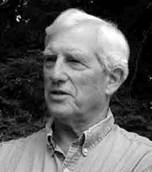 Harrison Owen originated Open Space Technology in 1984 after many years of international experience and experimentation in organization transformation. Open Space is now used in multiple situations all over the world, and has become the basis for new conceptualization of the nature and function of organization. He is author of numerous books, most recently The Practice of Peace. Tova Averbuch is a managing partner in "Oganim" (anchors)- an Israeli consulting network that expertise in life supporting interventions in Organizations and communities . With academic background of social work (BSW) and organizational behavior (MSc.) she is especially committed to the wellness and effectiveness of people in organizational settings as well as the wellness and effectiveness of the organizational system itself. She works with the main industries in Israel, the IDF, the academia, Ngo's and municipalities .Is also very active doing voluntary work to promote dialogue and peace between extremes in Isareli society. Born in Poland, living in Israel since 1957, resided in the US for two periods of two years (Rochester NY, Rockville, MD) she carries a special interest in the creative dialogue and relationship between �center� and �edge� of human systems. She pioneered the use of OST in Israel in 1999 together with Avner Haramati. She sees Open Space Technology as a deep democratic tool, shining with it�s full transparency and energy, promoting creativity and life in organizations and individuals who are moved and enabled to find their voice in a crowd and find a new future as a collective. Avner Haramati is an organizational psychologist, working since 1978 in promoting processes of change in organizations, businesses, government and NGO sectors. He has an MA in clinical and social psychology, and a BA in economics, from the Hebrew University in Jerusalem. A managing partner (with Tova Averbuch) of `Oganim`(anchors) a consulting network, Avner is also one of the founders and former chairman of `Besod-Siach` (The Enigma of Dialogue), a volunteer organization that promotes dialogue between groups in conflicts within the Israeli society. He uses the OST as a tool and a guideline for bringing people and organizations to their full potential, through using constantly their freedom of choice and influence. Carol Daniel Kasbari was born and raised in Nazareth in a Palestinian family. A graduate of the Hebrew University in Jerusalem with a M.A. in Management of Community Organizations, Non-profit Organizations and Public Policy, a B.A. in Sociology and Anthropology, and another B.A. in French Literature. Having also studied Conflict Resolution at the Oasis of Peace School, Carol has conducted various workshops in facilitation of groups in conflict. Worked as a coordinator for mutual projects between Israelis and Palestinians through different organizations: IPCRI (Israel /Palestine Center for Research and Information), IPMF (Israeli Palestinian Media Forum), and the Israeli Association of Community Centers. Carol is presently working as a consultant with the UNESCO department of Freedom of Expression on dialogue media projects and on strengthening the Palestinian media. 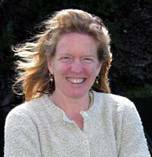 She has recently assisted Harrison Owen in the first training OST program for Palestinians in the West Bank. She introduced OST to the Association of Community Centers in Israel, moreover she supports and guides members of the Palestine OST group in practicing OS at their workplace. Carol is translating OS material and writing her insights in Arabic to raise awareness among Palestinians in Israel and Palestine. Arun Wakhlu founder Chairman of Pragati Learning System (P) Ltd., a spiritually inspired management training and consulting firm based in Pune, India. A graduate of Electrical Engineering from Indian Institute of Technology, New Delhi, he obtained a Postgraduate Diploma in Management from the Indian Institute of Management, Ahmedabad. A Sanyasi of Osho Rajneesh, he has also been personally blessed through the grace of many spiritual masters. Arun has designed and facilitated many innovative programs for Leaders in many well known Indian and International organizations. Author of the award winning book "Managing from the Heart", Arun has published more than 28 papers and co-authored two other books. 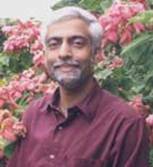 Arun's current interests include exploring the links between Spirituality, Leadership and Wholesome Sustainable Development, developing new measures for these with the intention of being an instrument for personal, organizational & planetary healing and transformation. Arun has been Opening Space ever since he was initiated into the process by Anne Stadler in Cochin, India. Most recently, Arun and his team at Pragati Foundation have used OST to open space for Peace and Prosperity in India and Pakistan. Pablo Restrepo Saenz is an international consultant, professor and trainer in negotiation, mediation and conflict resolution. He is the Director of Tandem Alternative Dispute Resolution, a private consulting firm based in Colombia, and an Associate Consultant for Coleman & Raider International. 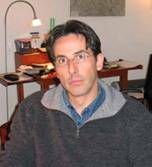 He has taught at Columbia University, McGill University, and Universidad de los Andes in Colombia. Pablo has lived in France, and in the United States, while he was getting his B.S. and B.A. at Columbia University and Depauw University respectively, and has an MBA from Universidad de los Andes. His mother tongue is Spanish and is fluent in English and French. Since 2001 he has been exploring the application of OST to a structured negotiation process as a complementary strategy within the process and, particularly, as a strategy to intervening violent conflicts constructively. John L. Johnson and Gladys Clark-Johnson have been opening space since 1999. Their interests have been in working with historic, seemingly intractable social justice issues in urban communities. Much of their experience has been in predominantly African-American organizations but also in a major southern city. John L. is a retired university professor-educational psychology/African-American Studies, an experienced Tavistock Group Relations consultant and a Diplomate in Process Work. He is a Playback Theatre practitioner and artistic director, serving as actor and conductor for nine years. He is also a practitioner of Augusto Boal's Theatre of the Oppressed. He is currently offering workshops that explore various aspects of "Deep Democracy" -- its effectiveness in facilitating difficult conversations, in conducting community meetings and for environmental leadership. He is currently part of a team that has organized a working conference on "Explorations in Leadership" for students at a Historically Black University, using median group experience and OST to explore leadership in the "here and now" of the Black experience. Gladys is a retired special educator. She served eight years as a teacher and twenty-three years as an administrator in the Public Schools of the District of Columbia, retiring as Director of Planning and Development for the Department of Special Education. She was a Fellow at the Institute for Educational Leadership specializing in special education policy analysis. She was an elected member of the Executive Committee of the Council for Exceptional Children and the first elected President of the Division for Culturally and Linguistically Diverse Learners. Since retirement she has served as trainer and Area Representative for the District of Columbia Board of Elections and Ethics. She is currently serving as Volunteer Ombudsman in the DC Long Term Care Program providing advocacy services for older persons. They have both served on the staff of World Work Seminars sponsored by the Global Process Institute of Portland, Oregon. John L. and Gladys reside in the District of Columbia with a population larger than several states but where there is no voting Congressional representation. They live under taxation without representation. They can often be found at their peaceful, rural lake house setting at Colonial Beach, Virginia. Susan Coleman, J.D., M.P.A. is best known for her work in conflict resolution. She is a partner of Coleman Raider International, a firm specializing in conflict resolution, and the Director of International Projects of the International Center for Cooperation and Conflict Resolution (ICCCR) at Teacher�s College, Columbia University. Since 1988, she has trained and coached tens of thousands of business executives, diplomats, health care professionals and educators worldwide in conflict resolution and has mediated or facilitated a wide variety of business, organizational and community disputes. With strong expertise in cross-cultural communication, the Raider and Coleman training materials have been used around the world and have been translated into Japanese, Spanish, Kurdish, French and Macedonian. Susan has a Doctorate in Law and a Masters in Public Administration from Hofstra and Harvard Universities respectively. She is currently a certificate candidate for the Organization and Systems Development program at the Gestalt Institute of Cleveland. She has traveled worldwide, has lived in Latin America and speaks Spanish in addition to her native English. Most recently, Ms. Coleman is at the forefront of using and exploring the application of large group processes such as Open Space or Future Search to achieve paradigm shifts where communities and systems are in conflict. John Engle has been working with others to transform the way international non-profits work since 1991. He lives in a small house in rural Marianman, Haiti. He is co-founder of Haiti-based Fondasyon Limy� Lavi, and its American partner organization, Beyond Borders (www.beyondborders.net). He is also co-founder of Wotalfa, a literacy initiative of Rotary Clubs of Haiti (rotaryliteracy-haiti.org). For the past nine years he has been using Open Space Technology with networks and organizations throughout Haiti. He is also a practitioner of Touchstones (touchstones.org) which helps children and adults develop skills in dialog and tolerance. He serves on the board of directors of Open Space Institute (US) and, he is a "reservist" with Christian Peacemaker Teams (cpt.org), a faith-based organization working in areas around the world where there is unrest to deter violence.